Agents look at countless partial and full manuscripts. What’s one thing that turns us off quick? Unoriginal and unexciting openings. Here’s my top 6 ways not to start your novel. This is a common case of over-writing and not thinking from the readers’ perspective. If you want to hook a reader from the beginning it’s best not to lose them from the start. No one wants to be confused or think they’re not getting it. The opposite of too much action: too little action. This is what’s going to prevent readers from going further because we’re bored. Internal monologues are something to avoid here too. I know, between points 2 and 3 I’m leaving little room here, but this is what workshopping is for. Share your beginning with critique groups and beta readers and see if it works for them. If the opening reads like your synopsis notes, we’re going to have a problem. A list of hair colour, eye colour, emotional state, setting, and/or age is not what you want to lead with–and especially not a combination of these. You can get to those later by carefully weaving them in. This one leads to a mundane opening. We know what it’s like to get ready for work or school–you don’t need to run us through the motions. This is a classic case of not knowing where your novel starts. When in doubt: introduce us to the main character at an interesting point in their lives. Plot coincidences and convenient ways of characters meeting is something that rubs me the wrong way. As a writer you have the ability to weave a story, but when the reader feels like they are being led in a certain direction you’ve lost our confidence in you. Make it feel as organic and ‘real world’ as possible. Need to know how to start your novel? Read this post. Q: How did you start your novel? Will definitely keep these things in mind. Thanks for the advice! Great post! The action-but-make-us-care balance can be maddening. After rewriting the opening to my WIP probably 20 times, the current version opens with the main character about to play “chicken” on a roaring highway with his bicycle, to see whether fate will allow him to go to the dance with the girl of his dreams. She’s already said yes, but he needs to be sure. The re-writing of the opening scene is necessary. Sounds like you’ve made it work. What a timely post. I wrote my novel starting with my protag being awakened in the middle of the night, only to find that novels beginning with the MC waking up are about as cliched as it gets. Although there was a good reason she was being awakened, and within five minutes she was witnessing a murder, I got paranoid and changed the beginning. I have to say I don’t like the new one as much as the way I had it. What are your thoughts on that, Carly? There are so many novel and query writing pitfalls to be aware of. These types of posts are worth their weight in gold, although frustrating at times. I’m sharing things that agents have seen time and time again. It doesn’t mean it can’t work and we can’t see through it, but I’m trying to provide information to help you. Take it with a grain of salt. your post makes me feel much more assured about my non traditional beginning. Thank you! Thanks for stopping by Mandi! Thanks for this post! This could not have come at a better time because I just not started my newest novel. I am not too worried about the beginning just yet, if that makes any sense. I don’t have enough of who the characters are and their world yet. When I first start out writing the first draft I like to start from a table of contents that goes through the whole plot triangle to point out all the important bits of how the plot will form. That table isn’t set in stone ad it can shift and change as the characters develop. Right now the beginning I have sets up a few philosophical points key to the story, but in a simple and straightforward language so it isn’t confusing to the reader. Thanks again for the post!!! After re-writing the opening many times, the latest version opens with a Prologue in which the main character is shopping for a new pair of jeans, then she goes to buy a doughnut but she doesn’t eat it. She feeds it to the pigeons while the events of the last seven months flick on her mind’s eyes. Beginnings are hard, but I don’t think they’re nearly as bad as endings. I’d love to see a similar post about the latter! My current WIP starts off with one of the main characters finding out about the true fate of her parents and brothers – something grisly and disgusting, the thought of which makes her physically sick. At the end of the chapter, she decides to seek justice and begins initiation for a revolutionary group. I hope there’s enough world-building in the first chapter to get readers acclimated before I thrust them into the action. Endings are hard to write about because they are so specific to everyone’s own project. I’ll think about it! Thanks! The beginning of project #1 has been through many revisions. Currently, it starts with the male MC walking into his house, only to find his wife in tears over bad news. From there, it gets to the action pretty quick. I lean towards 2, but maybe next week, it’ll be something else, haha. As long as you are trying things to see what works you’re in the right frame of mind. Hope you find the right fit! Good points all & well presented. (I kinda like this blog.) Started my first 2 books with prologues. Both describe historical action that is relevant to the plot & characters – but I kept both short & “active”. 3rd didn’t need a prologue but I have written an epilogue that my wife says needs to go. *sigh* my darling wants to axe my darlings. Okay, that’s enough – back to the beach. I’ve started my current novel with a group of cloned private security guards being briefed by their boss, and told that if they cause any more altercations involving them and the non-clone employees on the premises, they will be denied the one thing that is holding their bodies together and keeping them alive. I really enjoyed this post as it outlines all of the things that I try to avoid doing in my own writing. I have a manuscript in the works and trying to come up with an adequate beginning is challenging to the point that I’ve written several new and completely different openings at least a dozen times! 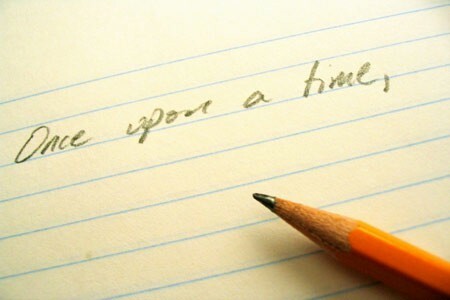 I am beginning to wonder if I am better off writing the beginning once I have an ending. With the over saturation of the writing market I will definitely put a book down with in the first few pages if the beginning does not draw me in. The “hook” is often the hardest element to add to your novel. Carly Watters lays out some important ground rules to remember when writing that all important beginning. Hmm. Maybe number 3 should read “not enough tension” rather than “not enough action”.I’ve found that the boring beginnings tend to come more from not feeling the pressure of the story problem, rather than a lack of action. Really appreciated the advice – thank you! This is great, and awesome advice! I was wondering though it you’ve ever talked about how to begin (or not to begin) a second or third book when writing a series. It doesn’t quite feel the same when reads are already familiar with the characters and the setting, so are there special rules? I don’t think I’ve written about that before. It’s a fine balance between not hitting fans over the head with the same details and how to let new readers know where they are. This is a really great post, though I’m terribly late getting to it! I love your ‘analyze your writing’ widgets, which is how I found you. I am a POV switcher. In a few of my books, the prologue will be a short event the male or female MC experiences, but then the first chapter will open with the opposite MC. Is that something agents would instantly dismiss? I have to admit, I never gave it much thought, the stories just developed that way. I love multiple POV because it gives the narrative a chance to explore the plot through multiple character’s eyes. That said, the plot really has to warrant it (i.e. must be complex). Okay, phew! I also like multiple POV when reading, so I’m glad I’m not the only one. Sometimes, I wish I could do simple, but it seems complex is the way things always end up. Thank you for replying! Short, sweet and great advice. Great post thanks. This one has been bookmarked. make a really good article… but what can I say… I hesitate a lot and don’t manage to get nearly anything done. Great advice, thanks! The beginning of my novel was first serialized online on a specialist website, and what grabbed my +20K readers was the “straight into the action” prologue which made them want more. This made me wonder if readers are looking for different things depending on context (online vs print). I had not considered changing the opening but now I will have a look. fully protected under competent trainers. and need replacing. These scales have proven themselves to be accurate and easy to read and use, making them a convenient choice whenever you need to measure weight. I started my very first novel in a dream and then the main character woke up and went to work. Riveting stuff, eh? Just found your blog today. Thank you for sharing your expertise; I look forward to reading more! I had my novel start out with the two main characters running away from their village after it had caught fire. I feel like it’s a good clean opening so far and I didn’t think it was too action packed and obviously not boring. Thank you very much for your post. Would you mind adding some examples to clarify what you mean? Thanks!